General anxiety disorder affects 6.8 million adults, or 3.1% of the U.S. population, in any given year. For many people anxiety begins in childhood. Chances are good you have children in your class who struggle with anxiety. 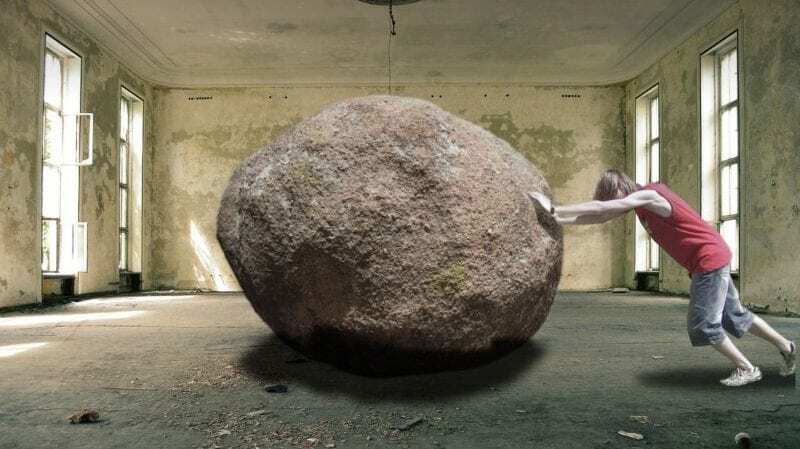 Anxiety can be more than just “worries.” Anxiety can influence classroom performance as profoundly as ADD or a more traditional learning disability. An anxious brain can’t absorb new information or even retrieve previously learned information as effectively as a non anxious brain. Kids who are worried and anxious aren’t doing it on purpose. The nervous system acts automatically, especially when it comes to worry (which often stems from fight or flight reflexes.) That’s why phrases like “just relax” or “calm down” aren’t helpful. But with practice, kids can learn to slow down their anxious brains and teachers can learn to help them. Below are seven ways to help calm anxious kids in the classroom. When people slow down their breathing, they slow down their brain. When I notice that one of my kids is struggling with anxiety, I’ll often lead the whole class in a breathing exercise. 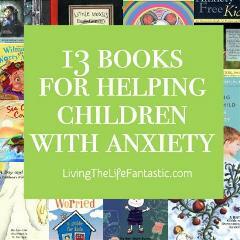 It helps the child who is overwhelmed, and usually a few other kids too. Sometimes, I’ll do it just because the whole class is squirrely and we need to focus. Slow, deep breaths are the key. This article about belly breathing describes the process I like to use with my kids. It works every single time. Exercise helps anyone who is feeling anxious. All of the endorphins that come with exercise are calming to the anxious brain. I use this strategy on the playground a lot. Kids who are feeling anxious can “boil over” pretty quickly. Anxiety can end up looking like anger. One of my students who struggled with anxiety would often find conflict in the playhouse at recess. I tended to use the “walk and talk” method to calm her down. She’d come to me upset and I’d ask her to walk with me as I supervised the rest of the kids. After a couple of loops around the playground, everything would feel a little better. Our walk served three purposes. 1. It removed her from the situation. 2. It gave her a chance to explain the issue to me. 3. It got her blood pumping which clears out the anxiety producing energy and brings in the positive exercise endorphins. I’ve also been known to take my kids for a run, just to change the mood in my classroom. The brain is incapable of producing anxious thoughts while it is producing positive thoughts stemming from gratitude. If you can trigger a positive train of thought, you can sometimes derail the anxiety. A fifth grade teacher in my building asks kids to keep gratitude journals. They are responsible for recording at least one thing they are thankful for every day. When his students seem overwhelmed by negativity or mired in anxiety, he encourages them to re-read their journals. If you can find a way to work these things into your school day, they could make the difference for your kids who tend to worry. Even if you can’t control what they eat or how much sleep they get you can educate them. If you eat meals with your class, use the time to talk about healthy food choices, or wrap it into the curriculum when you can. Often, when one of my kids is struggling, the school counselor will come and share a picture book about managing anxiety with the entire class. Some kids may not be receptive to direct, one-on-one, intervention but will respond beautifully if they know the whole class is receiving the same information. This article from Living the Fantastic Life shares some of the books we used most frequently in our classroom. For older students, accommodations can make all the difference. Many students struggle with performance anxiety, especially when it comes to tests. When a student is feeling anxious, their brain simply can’t function as effectively. When we can set up our tests and assignments so anxious kids are less stressed, they’ll likely perform better. Extended time and cue sheets could help kids who suffer from test anxiety. For other accommodations for kids who struggle with anxiety, check out this list from Worry Wise Kids.